Realistic amp tones anytime and anywhere. Use the 3.5mm (1/8″) audio jack to connect your headphones or earbuds. These fun, portable headphone amps let you dial in classic tones without disturbing the neighbors! 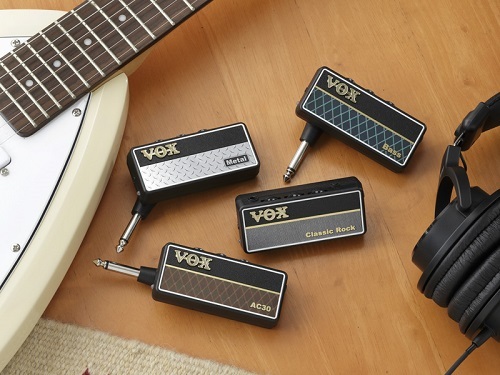 With the Vox amPlug 2, the crucial analog circuit has been drastically improved, and each model now provides three modes. Guitar types provide multi-effect functionality, and a rhythm function has been added to the bass type. A foldable plug mechanism that rotates 180 degrees and an auto power-off function are additional features that contribute significantly to improved convenience and ease of use.